Black Metal is Music Of Satan ? Metal, or more specifically, Black Metal, mortgaged-pawn so vividly genre of music is a testament to the adherents of Satanism. Each subject in this world always has two sides, black and white. Surely we can be a human being "more mature" when he saw something wisely. And, it does not necessarily generalize a thing in a negative stigma alone. Satanism and behaviors included therein, is the thing that has always been associated with black metal music today. I wonder who started it, but the underground community as just about cult believe it. 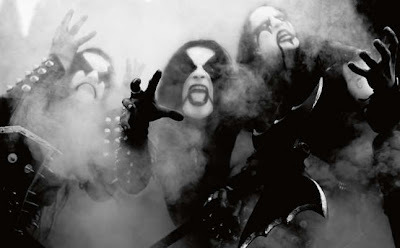 Occurs as uniform idea, that became the Black Metal musicians should be someone that the Anti God. Many ordinary people sneer Black Metal music as unfit to be heard and put forward to the audience. 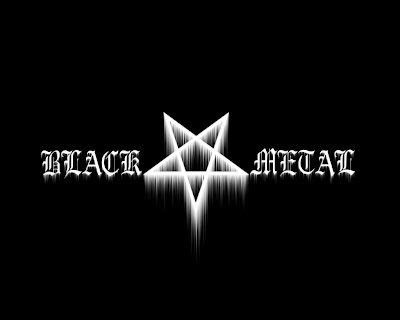 In short, if all the Black Metal musicians satanic human should, or should all followers of satanic black metal music plays? The existence of Black Metal (as a genre) could not be separated from the name of Venom, Heavy Metal band that stood at Newcastle United in the early 80s. Initially the band was much influenced by the concept of wide-band music band LED ZEPPELIN, BLACK SABBATH and DEEP PURPLE. At the same time, the champion of Metal in other places also began to appear. Call it Bathory from Sweden who started his debut album in 1984, and CELTIC FROST Hellhammer from Switzerland, Mercyful Fate of Denmark, SODOM from Germany and many more. Echoed the Black Metal is also marked by the birth of black metal bands in Norway such as MAYHEM, Burzum, DARK THRONE, IMMORTAL and EMPEROR. They are also often referred to as the second wave of Black Metal band. In Sweden the country, not least the band was inspired scenes in Norway kinds of Marduk, Dissection, DARK FUNERAL, LORD Belial, NIFELHEIM and ABRUPTUM who has character and musical concepts are slightly different from each other. Not much different from the conditions in Finland, too many pop bands that carry black metal like Beherit and Impaled NAZARENE. The musicians from different countries that have different ideologies from each other. Unless Mayhem and Marduk are plugged satanism as musical ideology, there are many Black Metal bands are not only struggling in Satanism. Nihilism ideology, Paganism, the National Socialists and the cult of the gods ala the Vikings also color the Black Metal music scene along the way. This is the one factor that is strong enough references that prove that Not All Black Metal Musicians adopts and lifestyle Satanism or vice versa. Simply put, Satanism and Black Metal is a separate entity that stands on its own. 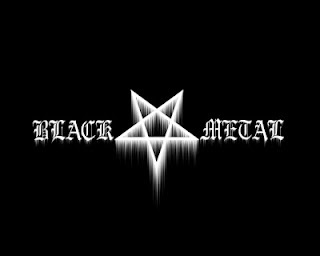 Black Metal musicians as a whole is not the concept of satanism as we often hear in the public conversation in coffee shops, supermarket, restaurant, newsstand, which assumes that Black Metal is misguided music, babble, not worth hearing and a stack of scorn even scolding and other harsh blasphemy against the music. The position of the heavy metal genre as a sub-culture in his position as opposition from the parent culture, psychologically it produces a spirit of brotherhood among musicians and fans that create fanaticism and lifestyle. In the era of the initial appearance, heavy metal spirit is indeed voicing rebellion against mainstream culture, most of whom carries a negative lifestyle, when in fact many of these negative lifestyle undertaken also by those who are not lovers of heavy metal. Even this kind of music was banned in some countries because of fear of fanaticism to a new sub-culture may erode the value of - traditional values. Fanaticism is happening in some individuals, for example, only want to play or listen to heavy metal music or take a completely negative lifestyle of his idol musicians (including his idol looks and behavior). Today, heavy metal music can be regarded as not fully sub-culture, so there is no need to narrow fanaticism in music, no longer need to be a bigot as imitators idol lifestyle. In this era, not all metal musicians have such a negative lifestyle in the early era of heavy metal. Then aggregated - choose what is good and in accordance with your soul. Metal music by some often associated with confidence - confidence. In fact beliefs metal music lover and performer is varied, in general there is theis (religious), atheists, agnostics, Satanism, paganism, mysticism, and so on. But the variation is not the only faith among heavy metal, among other musical cultures too (pop, rap, classical, etc.) or even among scholars / scientists also found variation in confidence as it is mentioned earlier. Lyrics - the lyrics are delivered in the metal music is more straightforward and wide, there are about divinity or Satanism, ideological, philosophical, nationalism, idealism, war, peace, apocalyptic futurism, political and social criticism, love, paganism, mythology, secular, positivism lyrics, negativism lyrics, things - things that absurd or crossed eyes of ordinary glass, and so on. In the metal music, people do not just look at the vocalist just as in pop, or simply as a guitarist and vocalist in the blues. 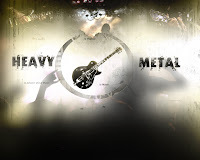 In the metal music, all components considered musicians have the opportunity to be the best in its field (guitarist, vocalist, bassist, or drummer) according to the concept of metal music. Helloween is metal band that I first heard this German band appeared with their first album entitled "Helloween" in the 1980's. The album was very well known at the time was "Keeper Of The Seven Keys Part I" in 1987 with the hit "Halloween" inspired many metal bands in Europe. History Helloween: Helloween's history began in 1978 when guitarist Kai Hansen and Piet Sielck formed a band called Gentry and after experiencing their disassembly personnel change into Iron Fist featuring Ingo Schwichtenberg on drums and Markus Grosskopf on bass. Piet then come out and be a sound engineer bands like Blind Guardian, Grave Digger, Gamma Ray and his personal project, Iron Savior. Then came Michael Weikath of Powerfool, and changed his name to Helloween in 1982 in Hamburg. In 1984, they recorded two songs for a compilation album Death Metal Noise Records. Helloween record "Oernst For Life" written by Weikath and a song titled "Metal Invaders". With Kai Hansen doubled as vocalist and songwriter, recording their debut mini album titled Helloween (contains 5 tracks) in early 1985. Walls of Jericho album and mini single "Judas" was released a year later, and the media began to be surprised by Helloween interpretation of the classic heavy metal. They won so many fans in mainland Europe, but Hansen is still not satisfied with his ability to sing and play guitar at the same time, and after the tour Kai suggested Helloween to find the right vocalist to raise Helloween. Helloween: 1987-1989 Ralf Scheepers from Tyran Pace is their first choice, but they finally found a very good vocalist of a local band called Ill Prophecy. He is Michael Kiske, who was then aged 19 years, who have high and clear voice and style of singing was much inspired by Rob Halford and Bruce Dickinson. This new formation proved their new powers on the stage and in the studio. They wanted to record a double album at first, but the Noise refused. And they release the Keeper of the Seven Keys I, which is undoubtedly a power metal album that is very influential in Europe. The combination of power and melody that their stretcher widely followed by the band at the time, and suddenly made a superstar Helloween power metal, even opening for Iron Maiden, Armored Saint and Grim Reaper. The success they also reached the USA were even invited to take part in MTV's Headbanger's Ball Tour. Interrupted his busy, they still managed to record the album Keeper of the Seven Keys II in 1988. They are increasingly establishing themselves into power metal band's most successful album sales and a return tour in the U.S. with Exodus, and Anthrax. Penetrated even this album charts in the UK, but the songwriting process (especially long song written by Kai) to start the crisis in Helloween. Their show at Donington Monsters of Rock Festival reinforces their existence, but for Kai, her dreams come true also to the culmination of his ambitions within the group. 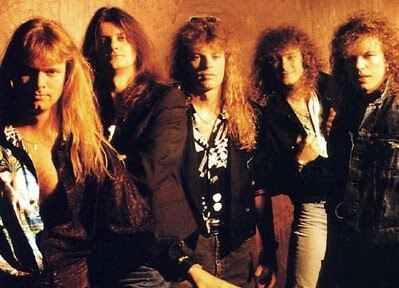 Surprisingly, in December 1988 Kai resigned from the band that has been raised, and claimed that Helloween was too big for him so it is difficult to control. Kai later formed his own band under the name Gamma Ray. The members of Helloween is not being backed up, they attract former personnel Rampage, Roland Grapow replace Kai and had successful tours in the UK. Helloween: 1990-1993 company EMI was interested and contracted them because Helloween have any problems with the label, Noise Records. Helloween terminate the contract with Noise and joined EMI. And they lost in court and must pay compensation to the Noise and prohibited album release outside of Europe and Japan. Because of the complicated financial issues, they did not produce the album up to 2 years. Some also released a live album (Live in the UK in Europe, Keepers Live in Japan, and I Want Out: Live in the USA) was released to impress the fans during the hiatus. And they also got help from Management Sanctuary (Iron Maiden, WASP) to stay afloat. Little by little they began to believe, woke up from a long break, they release an album with an unusual title Pink Bubbles Go Ape in 1991. But the album is even less identity Helloween, many get criticism from fans and media, writing songs that are not in focus. Even worse, rumors circulated that the cultivation of the album is filled by internal conflicts among personnel. The album was full of uncertainty was followed by the sale were not as they had hoped. In 1993, they release a bad album, Chameleon, and exacerbating tensions between personnel rumors that started to rise. It is starting to look at that period, Ingo experiencing stress, using drugs and alcohol and had been diagnosed with Schizophrenia. Ingo was replaced by Richie Abdel Prophet during the tour. Ingo suffering from Schizophrenia since birth. It is only known at the time he was undergoing rehabilitation drugs such as cocaine, doping and alcohol are extremely adverse effects on brain function and cause difficulty in speaking. Basically, alcohol can delay the effects of schizophrenia for a while, but it will still appear every time someone has aged 30 years. A disease that is difficult to cure. It is a burden for Ingo and finally Weiki should make the decision to ask Ingo no longer play for Helloween. They talked for 5 to 6 hours, Ingo was rejected and wants to keep playing for Helloween. Ingo did not understand the conditions he was and did not undergo the treatment well. And one day, he committed suicide by jumping toward the subway trains passing by. At that time, both EMI and Sanctuary decided to stop their losses and let Helloween to determine their own destiny. Helloween had signed a contract with Castle Communications. Helloween: 1994-2000 Then they also tried to get up as soon as possible, they attract new singer Andi Deris of Pink Cream 69 (one Weiki favorite bands) and former Gamma Ray drummer Uli Kusch and then record the album Master of the Rings in 1994. At Andi states would join Helloween, Weiki and management call but Kiske Kiske rejected. Although the reason for calling was to decide the fate of Kiske, but the meeting too did not do because the result is obvious. Kiske was fired. This album marks their return to the music they should like the album Keeper stretcher. The album was released almost a year later in the USA with the bonus B-side contains all the Master of the Rings. Once they felt they had back on track, they recorded the album The Time of the Oath in 1996, and surprisingly the album became their best album since the heyday of the album-Keeper. This album is dedicated to Ingo. And they released a live album High Live! in 1996 and indicates that Helloween has returned to the international arena of power metal with his success back in Europe and Japan. In the same year, also released a solo album Kiske Instant Clarity. In 1997, Roland release his solo debut entitled The Four Seasons of Life which contains the singles "I Remember" and featuring Ralf Scheepers on a song. Andi also release his solo debut titled Come In From The Rain with the single "1000 Years Away" and "Goodbye Jenny". A year later they release The Pumpkin Box that contains their best songs from the years 1985-1993 and contains four discs with interviews. In March 1998 they release the album Better Than Raw. In 1999, Roland release Kaleidoscope album a success in Europe and Brazil. Mark also released a side project entitled Shockmachine featuring Uli on drums. Uli also produced and release his album Catch The Rainbow, a tribute album to the band Rainbow with German musicians. Kiske release of his second album Readiness To Sacrifice. Helloween then release the band's album cover that inspired many in the album Metal Jukebox. Andi was close this year with a release of his second album Done by the Mirrors. They began in 2000 with work on their new album with producer Roy Z. The management wants Helloween recorded the dark side of their metal music and the result was the album The Dark Ride which was released on October 30, 2000. Weiki not like the musical direction taken. Producers seem to crave Helloween with a new style and more nu-metal Roland as Roland could follow very fond of digital production, similarly with Uli. But not with Weiki who was not involved in the cultivation of this album. Weiki not want this album as an album Helloween. The difference in musical direction and selection of tracks made by management are then led to tensions within the band, and was followed by the dismissal of Roland and Uli. Helloween: Helloween 2001-2004 Weiki want to return to the track with a new lineup. During the process, attract Helloween guitarist Sascha Gerstner of Freedon Call is only 25 years old. A guitar player who has a lot in common with Weiki, know to play the guitar properly. He also helped Mark in workmanship song "Liar", he wrote three songs for the album Rabbit Do not Come Easy, produced Charlie Bauerfeind was released in May 2003. This title is given to show that the band is back again better Keera ("happy"), as an expression of that how similar the launch of an album when compared to performing tricks pulled a rabbit out of a hat. In July 2003, Helloween prepared in Hamburg, preparing for their longest world tour. Since the beginning of september month tour, fans around the world cheered performances Helloween, which are getting better than ever. A sign that the addition of new personnel will run smoothly. In October 2004, Helloween start the post-production of their new album. Helloween: 2005-2009 In early 2005, precisely in February 2005, Schwarzmann and Helloween began experiencing discrepancies. During these tours, and then she saw the whole personnel of the differences between them, they do not entirely share in terms of their musical path. Schwarzmann decided to keep helping Helloween during the production period until a replacement is found Loble Dani, former drummer RAWHEAD REXX which is a great fit for Helloween. 've Heard rumor that Helloween will release the continuation of the legendary Keeper's second album, but until such time in June, confirmed the release of Helloween "Keeper Of The Seven Keys - The Legacy". The first single titled "Mrs.God" was launched on the 4th of July in South East Asia, followed by the whole world on September 5. On October 31, 2005, Helloween released Keeper continuation of the legendary album titled "Keeper of the Seven Keys - The Legacy". This album brings tremendous recognition for the band, and be well received around the world. Keseuksesan album and tour sustained very strong and the band also released a live DVD and CD combo live Kombo. In 2007, two years To celebrate their success, Kombo Live Helloween released the CD titled "Keeper Of The Seven Keys - The Legacy World Tour 2005/2006 - Live In Sao Paulo" and Kombo Live DVD titled "Keeper Of The Seven Keys - The Legacy World Tour 2005/2006 - Live On 3 Continents ". At the end of 2007, Helloween released the new album entitled "Gambling With The Devils". And again greet his fans with one of the Gamma Ray is a former founding members of Helloween (Kai Hansen). 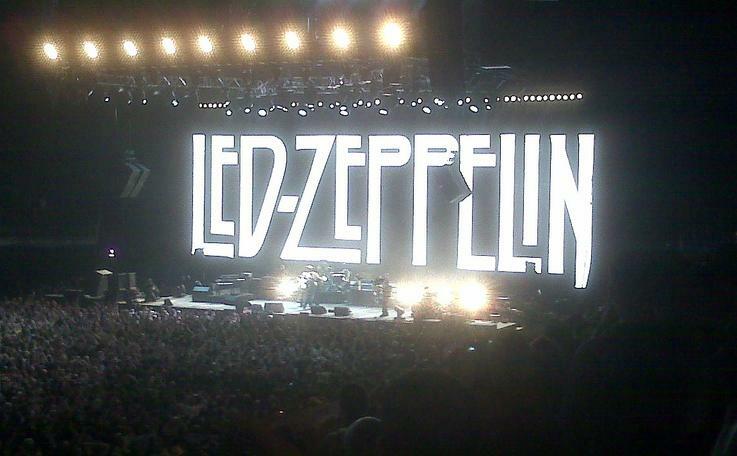 Led Zeppelin is a rock band from England that formed in September 1968, and disbanded after drummer John Bonham died. Led Zeppelin consisted of Jimmy Page, Robert Plant, John Paul Jones, and John Bonham. 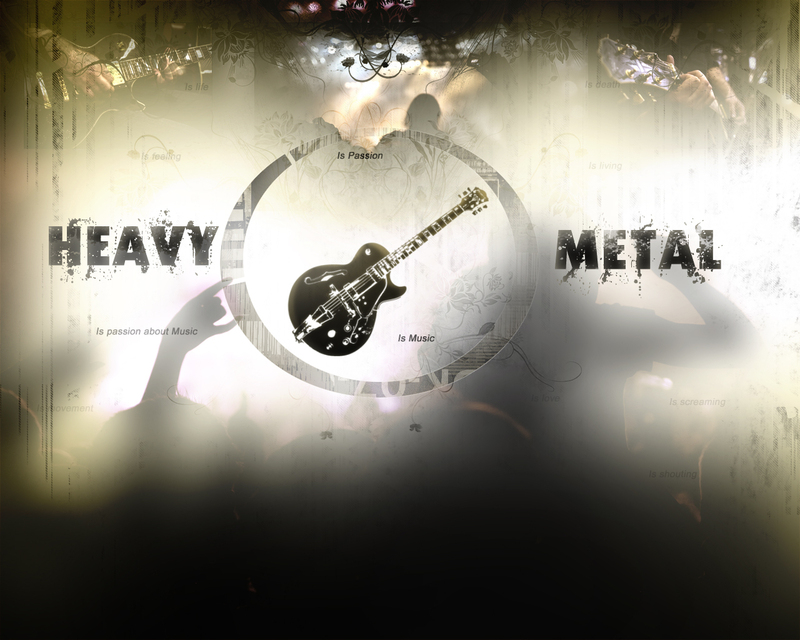 With music that features loud guitars and heavy, Led Zeppelin is considered as one of the first heavy metal band. Most of their songs are interpretations of blues and folk music were given a feel of rock, including rockabilly, reggae, soul, funk, jazz, classical music, Celtic music, Indian music, Arabic music, pop music, Latin American music, and country music . Led Zeppelin never released singles of songs that became popular in the United Kingdom. The reason, they prefer the concept of album-oriented rock music. After 25 years disbanded due to the death of John Bonham in 1980, Led Zeppelin still lauded music fans thanks to the artistic achievements, commercial success, and broad influence among rock musicians. To date, the album Led Zeppelin have sold over 300 million copies, of which, 109.5 million copies sold in the United States, and the only band that managed to put all of his albums in order of Top 10 Billboard album charts. In addition, Led Zeppelin ranks number one in the list of 100 Greatest Artists of Hard Rock (100 Greatest Artists of Hard Rock) version of VH1. In 2003, Led Zeppelin released: the double live album How the West Was Won, and Led Zeppelin DVD, a six-hour chronological set of live footage that became the best-selling DVD in the history of music. band received a Grammy Lifetime Achievement Award. In November 2005, it was announced that Led Zeppelin and Russian conductor Valery Gergiev is the Polar Music Prize 2006. King of Sweden gave gifts to Plant, Page, and Jones, along with John Bonham's daughter, in Stockholm in May 2006 In November 2006,. Led Zeppelin were inducted into the UK Music Hall of Fame. On 27 July 2007, Atlantic / Rhino and Warner Home Video announced three new Led Zeppelin titles to be released in November 2007. First was Mothership on 13 November, 24-track best-of covering the band's career, followed by a re-soundtrack The Song Remains the Same on 20 November which includes previously unreleased material, and a new DVD. On October 15, 2007, it was reported that Led Zeppelin is expected to announce a new series of agreements that make the band's songs available as legal digital downloads, first as ringtones through Verizon Wireless then as digital downloads of the band's eight studio albums and other recordings 13 November . On 8 November 2007, XM Satellite Radio launched XM LED, the network first artist-exclusive channel dedicated to Led Zeppelin. On 13 November 2007, Led Zeppelin's complete works were published on iTunes. At December 10, 2007, three members of Led Zeppelin reunion concerts dedicated to Ahmet Ertegun at The O, London. Herman Li, Born in Hong Kong, currently living in London, England. 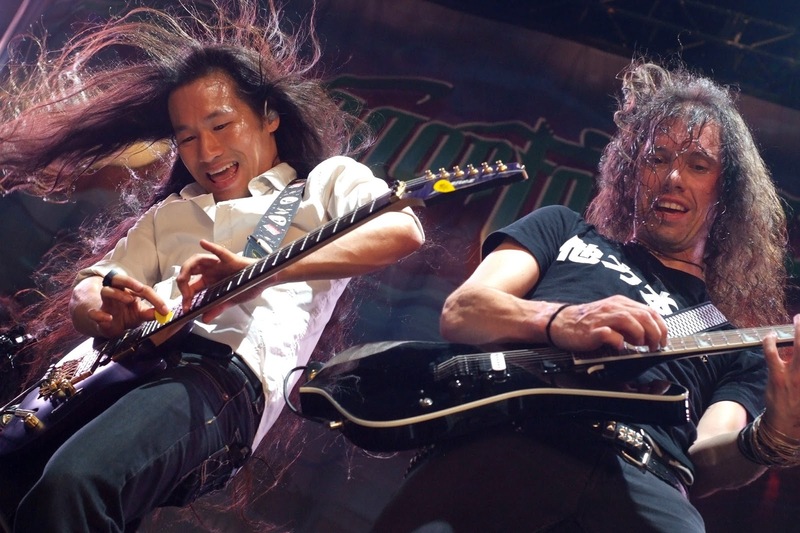 Herman Li (China) is a guitarist, songwriter and producer of the Grammy nominated metal act DragonForce. In 2010, Herman will appear at guitar workshops and events to show the approach to the instrument, and continues to help inspire guitarists around the world. Total Guitar Readers Poll 2007 - Best Solo "Through the Fire and Flames"
Terrorizer Reader Poll 2006 - Best Band "Dragonforce"
Terrorizer Reader Poll 2006 - Best Musician "Herman Li"
Terrorizer Reader Poll 2006 - Best Live Act "Dragonforce"
'Inhuman Rampage' international breakthrough album band, showing U.S. & Canadian Gold singles' Through the Fire and Flames, was also a hit in the video game multi-million selling 'Guitar Hero III - Legends of Rock'. However, the 'Ultra Beatdown' is the album that has been taken to new heights Dragonforce, hit the Top 20 national album charts in the UK, USA, Canada, Australia, Taiwan, Singapore and the Top 10 in Japan. In recent years, Herman has established itself as one of the most recognizable guitarists and the effect of the new generation. Awards start to flow, starting with the award 'Best Shredder' in 2005 at the annual Metal Hammer Golden Gods. Herman also won four categories at the 2007 Guitar World Readers Poll for "Best New Talent" (won with 70%) 'Best Metal', 'Best Riff' and 'Best Shredders'. He also won the 'Best Guitar Solo' to 'Through the Fire and Flames Through' in Total Guitar Readers Poll in 2007, as well as numerous other polls in the media around the world. Outside DragonForce, Herman has been invited to perform with the guitar legend like Joe Satriani, Steve Vai and Paul Gilbert, just to name a few. Most recently, Herman won for the second time the award 'Best Shredder' at the Metal Hammer Golden Gods 2009. Between intensive world tours with DragonForce, Herman found time to write a monthly column in the British magazine Total Guitar guitar and engage in guitar clinics around the world. Always continue to grow as a guitar player, Herman likes to understand his instrument as much as possible. He has appeal in the development of the electric guitar, working on new ideas to improve the instrument as much as possible. After 3 years of hard work and dedication, the result is the E-Gen Ibanez guitars, Herman signature model. Outside of music, Herman interests include computer technology and martial arts. He enjoys training in Brazilian Jiu Jitsu and Mixed Martial Arts. She also speaks three languages ​​fluently, Cantonese, French and English. Yngwie Malmsteen it had become a phenomenon among guitarists rock / heavy metal when it appears with a debut album Rising Force in 1984. His speed in doing sweep, combined with minor tones, and exhibited a high technical Swedish guitarist is like creating a new standard in speed and technique of guitar, especially in the line rock and heavy metal. Yngwie Malmsteen was a concern in the mid-1980s for his guitar technique and the influence of neo-classical metal compositions Compositions. Four album sales from 1984 to 1988, Rising Force, Marching Out, Trilogy, and Odyssey, the peak ranks of the top 100. Place / Date of Birth: June 30, 1963 in Stockholm, Sweden. Expertise: Neoclassical, Alternate, Picking, Arpeggio, etc..
Yngwie game strong with a touch of blues, rock, and classical influences condensed style classical music maestro, Niccolo Paganini and JS Bach, who was so charming, is considered to be something new. Promoted flow Yngwie heavy metal is then included in the genre of "neo-classical metal". Previously, Yngwie had joined the band Steeler and Alcatrazz even earned the nickname as the "Father Guitarist Shredder". Indeed, guitarist Shredder is a guitarist who rely heavily on speed in every guitar solo, was actually inherent in Eddy Van Halen, while introducing style "two handed tapping" in song instrumental "Eruption" on the selftitled album, Van Halen, in 1978. However, it can hardly be denied, Yngwie was the one who popularized the technique of modifying simultaneously shredding it. Yngwie himself admitted that his playing style was heavily influenced classical music, especially Bach and Paganini. 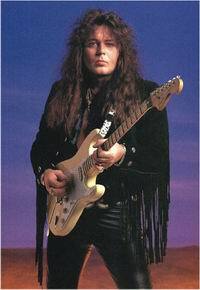 While rock and blues, Yngwie obtained from the influence of Jimi Hendrix and Ritchie Blackmore, who is two guitarists idol. Outside of his solo albums, Yngwie also released a collaboration album with two other top guitarists Joe Satriani and Steve Vai. The album was released in 2004, entitled "G3: Rockin 'in the Free World". On this album, in addition to playing four songs solo, Yngwie also had jamming together Satriani and Vai on three songs: "Voodoo Child" and "Little Wing" Jimi Hendrix-owned and "Rockin 'in the Free World" (Neil Young) . As well as hard rock musicians and other heavy metal, Yngwie also not forget the songs ballads are sweet on each album. At that time, in the year 1980-1990's, ballad songs is so powerful selling album to tuck in a heavy metal group. Then came the song "Now is the time" and "Dreaming" Odissey album, I'm My Own Enemy (Fire and Ice album), Prisoner of Your Love (The Seven Sight), and the legendary song "Save Our Love" in Eclipse album. 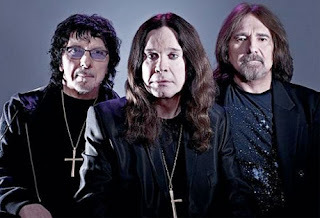 Black Sabbath are a British music group which is considered as one of the founder of the heavy metal music. His songs include the Sabbath (1970), Paranoid (1970), Master of Reality (1971) and many more. In not a few 70s rock bands that played the song Paranoid, War Pigs and Iron Man. Third song is thanks to popular rock music vocalist of Black Sabbath. After the reunion last year (2011) for a series of concerts in 2012, has made the extension of the work by recording six songs for the new album. In 2013 was Black Sabbath's ready to release new album. Before rising again, the band's last gig at Donington Park, England, in 2005. Now Black Sabbath determined dunia. As per the tour name, the image shows build Black Sabbath horror. This is evident from the costume and make-ep its personnel, especially Ozzy Osbourne could be said the legendary rocker. Black Sabbath's stage act was much of the space with an energetic acting, but highlight the character of poetry, music, costumes, songs hits. Some of the places that will be visited include Australia, New Zealand, and Japan's Ozzfest. Next concert dates will be announced in the near future. Personnel original band had a very big influence, Ozzy Osbourne, Tony Iommi and Geezer Butler have completed their first album after the last one came out in 1978, the NEVER SAY DIE. The new album is called 13, is scheduled for release in June 2013 and contains 15 tracks. They recorded the album in Los Angeles with the help of renowned producer Rick Rubin and present Rage Against The Machine drummer Brad Wilk, who replaced Bill Ward. Iron Maiden is a heavy metal band of British origin, was formed on Christmas Day 1975. "Up The Irons" is the nickname for the greatest heavy metal bands in history, Iron Maiden, from his fans around the world. Iron Maiden Name obtained Harrisdari a movie The Man in the Iron Mask adaptation of the novel The Vicomte de Bragelonne 'by Alexander Dumas, which he watched at the time. Iron Maiden is a set of instruments of torture from the 18th century. The voice of the vocalist (Paul Di'Anno) typical and heartbreaking makes the strong characteristic of this band. Iron Maiden then play from stage to stage for three years without ever recording their music at all. In the new year, 1978, they recorded a demo, The Soundhouse Tapes. Which contains four songs, but sold five hundred copies in a few weeks. A track that is in the demo, "Prowler", occupies the first number on Heavy Metal Soundhouse charts. From 1977 to 1978, Murray was the sole guitarist in the band Iron Maiden, until Paul Cairns joined in 1979. But shortly before the band entered the recording studio, Cairns left the band. The band is very frequent change of personnel, until finally finding new personnel, Dennis Stratton on guitar, Clive Burr on drums. Iron Maiden's first album, released in 1980, was able to occupy the number four in the UK Albums charts in the first week of the album release, Iron Maiden, and with it being one of the movement leading the New Wave of British Heavy Metal. In 1981, Iron Maiden released their second album, entitled Killers. This album contains many songs written for their first album, but did not because it was too much. Iron Maiden also added two more tracks for their second album: "Prodigal Son" and "Murders in the Rue Morgue" (whose title was taken from the short stories of Edgar Allan Poe). Appearance of the band started to become severe when a huge success in America. At the end of 1981, Iron Maiden fired at Ano and seek a new vocalist (Bruce Dickinson, the band Samson) in September 1981. Dickinson's debut with Iron Maiden in 1982 is The Number of the Beast, an album that brings Maiden first time into the charts at # 1 on the UK Albums and also the Top Ten in many countries. Their American tour became a controversy when Iron Maiden claimed as Satanic by the current political situation in America was conservative, as the title of their album. In December 1982, drummer Clive Burr ended the relationship work with Iron Maiden for personal problems, was replaced by Nicko McBrain, from the French band, Trust. In 1983, Iron Maiden released the album Piece of Mind, which reached # 3 on the UK charts, and the first time was in the North American charts, with the ranks of the charts to the 70 on the Billboard 200. Piece of Mind success with the singles "Flight of Icarus" and "The Trooper". Shortly after the success of Piece of Mind, Powerslave Iron Maiden released on 9 September 1984. Iron Maiden adopt different styles studio album in 1986 which they called Somewhere in Time. The album was, for the first time in the history of Iron Maiden, using the synthesizer on bass and guitar to add texture and layers to their sound. The experimental results in Somewhere in Time appears also on the album Seventh Son of a Seventh Son in 1988 which releases later. Adding eksprerimen, Maiden made it into a concept album that tells the story of a mystic, who has the power of clairvoyant (psychic). For the first time, Iron Maiden use the keyboard in the recording, as opposed to guitar synthesisers on the previous album. Music critics claim that the experiment produces a more preferred release. The album became their second album which was ranked 1 in the UK charts. In 1989, after touring with Iron Maiden, guitarist Adrian Smith released a solo album with his band ASAP, entitled Silver and Gold. Within this break, their lead singer Bruce Dickinson began work on a solo album with Janick Gers, guitarist Gillan (band Ian Gillan, Deep Purple), released the album Tattooed Millionaire in 1990. Then Iron Maiden regrouped to work on a new album, but it was Adrian Smith chose to leave the band due to lack of enthusiasm. Janick Gers was chosen to replace Smith and became the first member of a new Maiden again after 7 years of Iron Maiden at no change of the composition of personnel. Album No Prayer for the Dying, terilis in October 1990. In 1993, Bruce Dickinson left Iron Maiden chose to pursue a solo career. In 1994, Iron Maiden auditioned hundreds of vocalists, until finally chose Blaze Bayley, former Wolfsbane vocalist. Bayley had a different vocal character with Bruce Dickinson. But the band had a vacuum for 2 years, back in 1995, they released The X Factor. Iron Maiden obtain the lowest achieving them in order UK charts since 1981, reaching only order 8. Iron Maiden returned to the studio to work on the Virtual XI, which was later released in 1998. The album was recorded as the lowest selling album, failed to reach the total sales one million copies for the first time in the history of Iron Maiden. February 1999, Bayley left Iron Maiden. 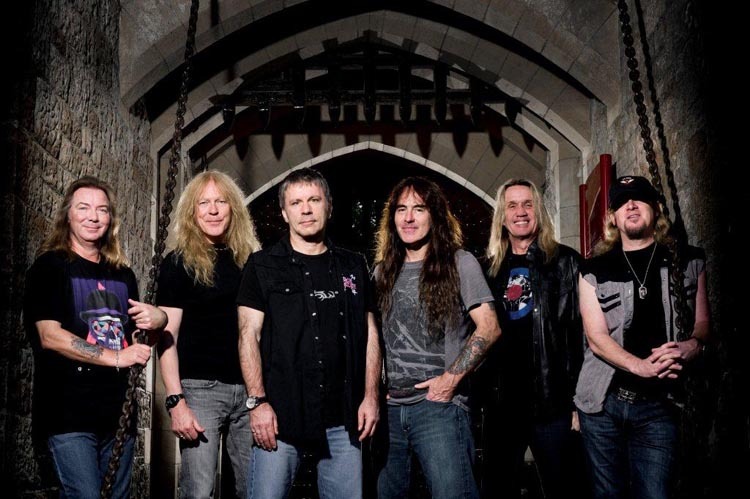 At the same time, Iron Maiden shocked fans when they announced that Bruce Dickinson and guitarist Adrian Smith returned to the band, with Janick Gers stay in it. World tour they did after the release of the album, containing 100 dates and culminated on January 19, 2001 at Rock in Rio festival Brazil. Iron Maiden has sold over 100 million records worldwide. Iron Maiden won Ivon Novello Awards for international achievement in 2002, and listed on the "Hollywood Rock Walk"-a "Hall of Fame" which was made as a tribute to the more than 170 musicians and artists, for their influence on the history of the music industry. In 2005, Iron Maiden announced a tour to commemorate 25 years since the release of the band's first album, Iron Maiden, and 30 years of the band stand. This tour is also in order to boost sales of their DVD entitled The Early Days. As part of their celebration of the early days, The Number of the Beast re-released and is ranked 3 in the UK charts Chart. In the spring of 2006, Iron Maiden released A Matter of Life and Death, with the theme of war and religion are repeated in the lyrics, as clearly depicted on the cover of his album. They played in the Middle East for the first time the event Dubai Desert Rock Festival in 2007, in front of 20,000 fans. They perform for the first time appeared in India, Bangalore, in front of 45,000 people at the Bangalore Palace Grounds. First time great heavy metal bands perform there was a milestone for India. 5 September 2007, Iron Maiden announced the "Somewhere Back in Time World Tour. Their tour setlist consisted of their success in the '80s, with emphasis on the Powerslave era for set design and stage. 12 May, Iron Maiden released a new compilation album, titled Somewhere Back in Time. It includes songs from their first album to debut in 1988, Seventh Son of a Seventh Son, also including several live versions from Live After Death. With a single concert at Twickenham Stadium, the UK, the tour was to be the first in the history of the Stadium was used for the band's performance. January 20, 2009, Iron Maiden announced that they will release a documentary film in the cinema-cinema on 21 Apri, titled Iron Maiden: Flight 666. A film that is recorded on the first tour "Somewhere Back in Time" them, from February to March 2008. Flight 666 was produced by Banger Productions and was released by unversal Music Group in the U.S., and by EMI records. And in the next year Iron Maiden in the world, including countries in Asia.